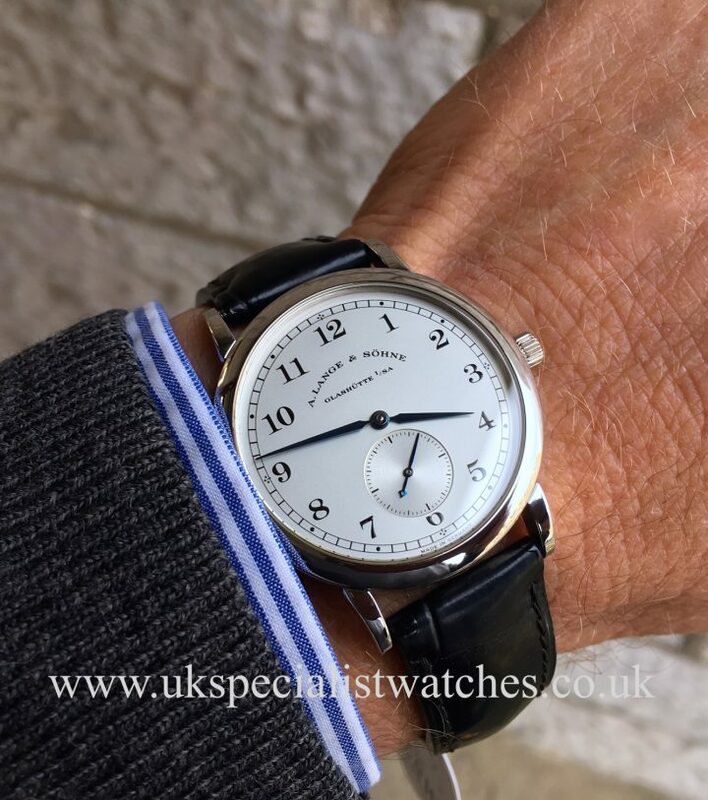 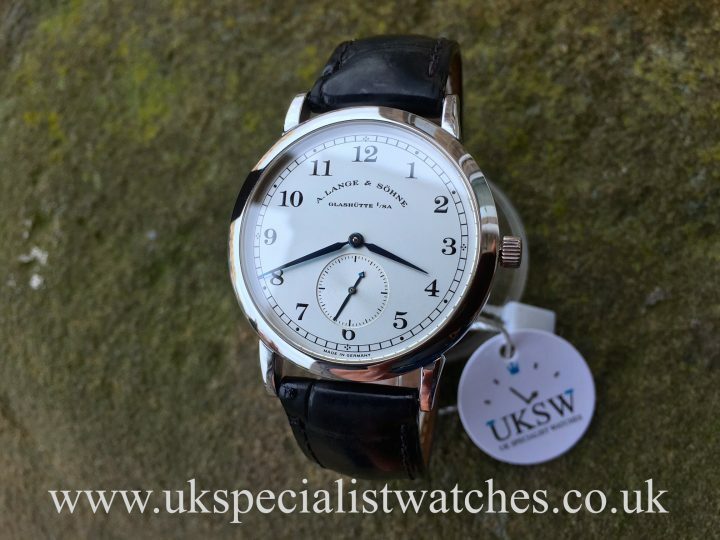 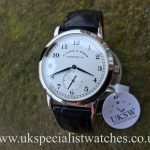 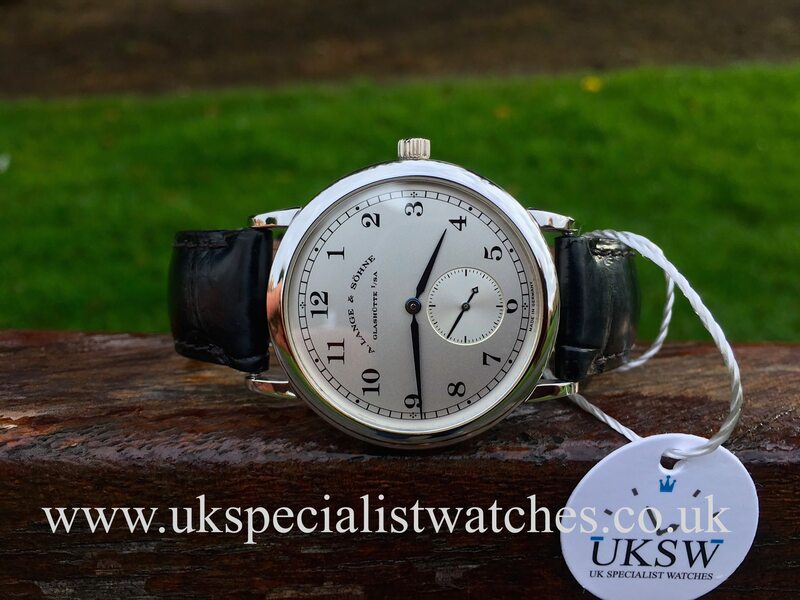 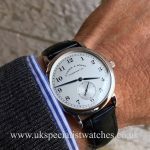 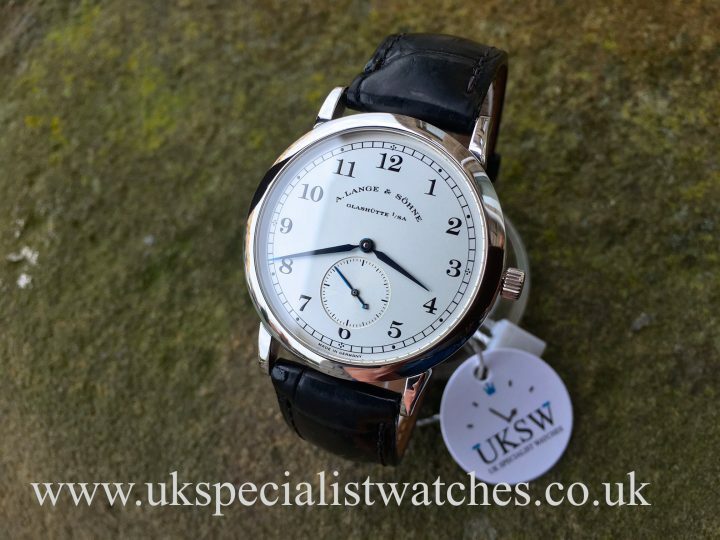 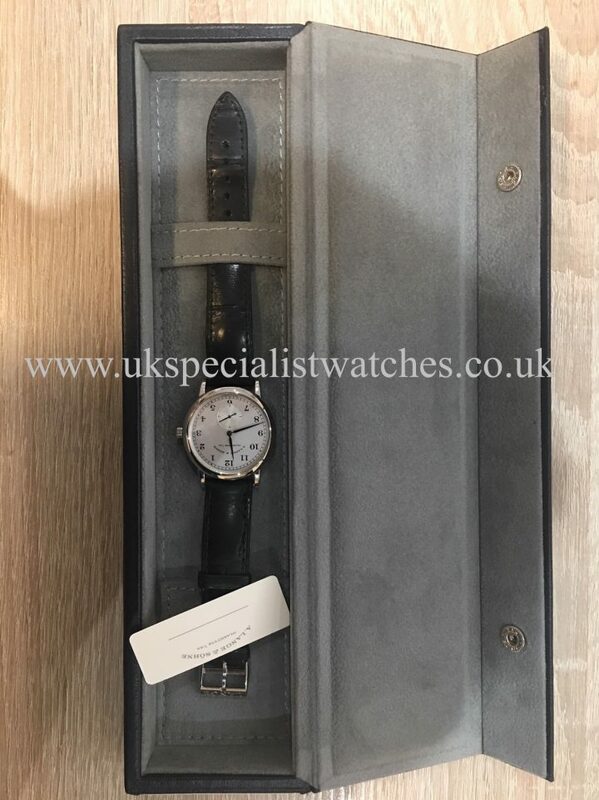 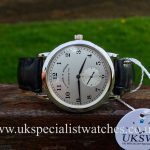 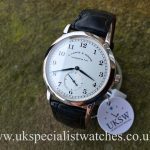 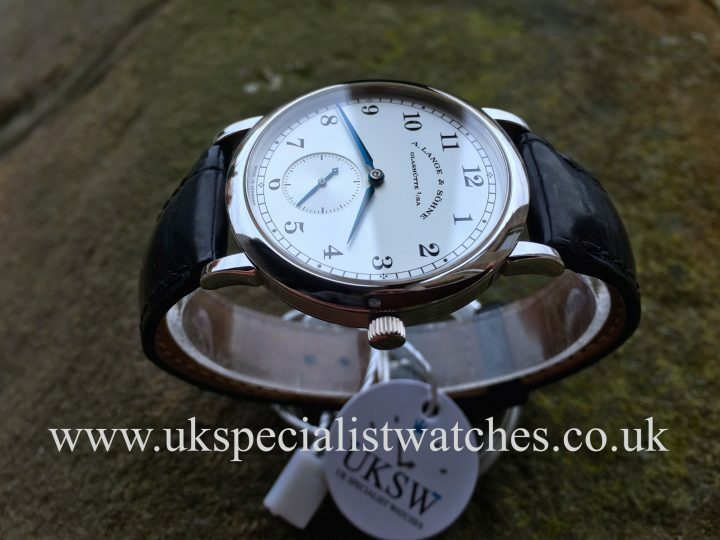 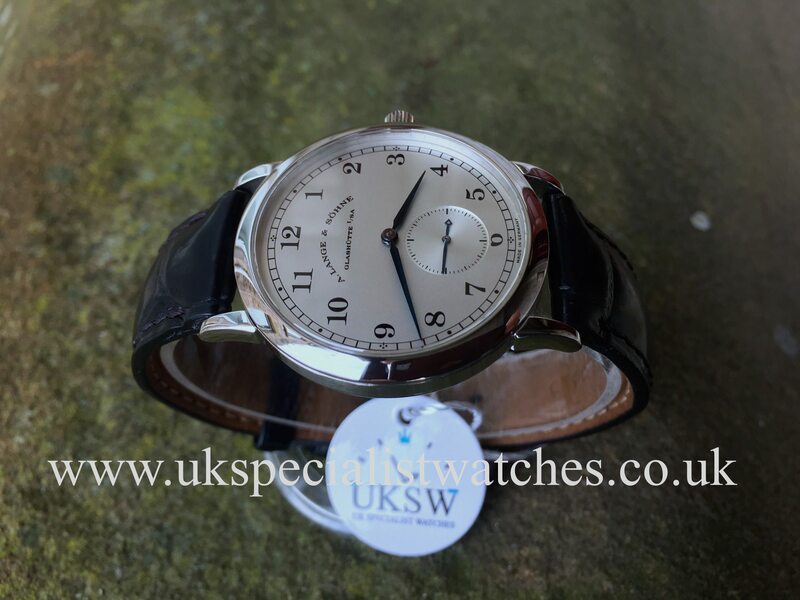 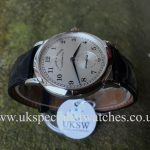 A. Lange & Sohne 1815 Gents’s Platinum Watch 206.025 1815 – Solid Platinum 36mm case and with exhibition crystal case back displaying the beautiful A. Lange & Sohne Manual wind movement. 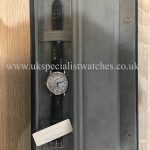 L 941.1; 21 jewels; 21,600 vph; Impressive power reserve of 45 hours. 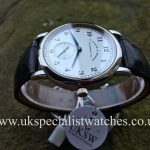 Solid silver dial with Arabic numerals small seconds sub dial at 6 o’clock, blued steel lance hands, sapphire crystal glass. 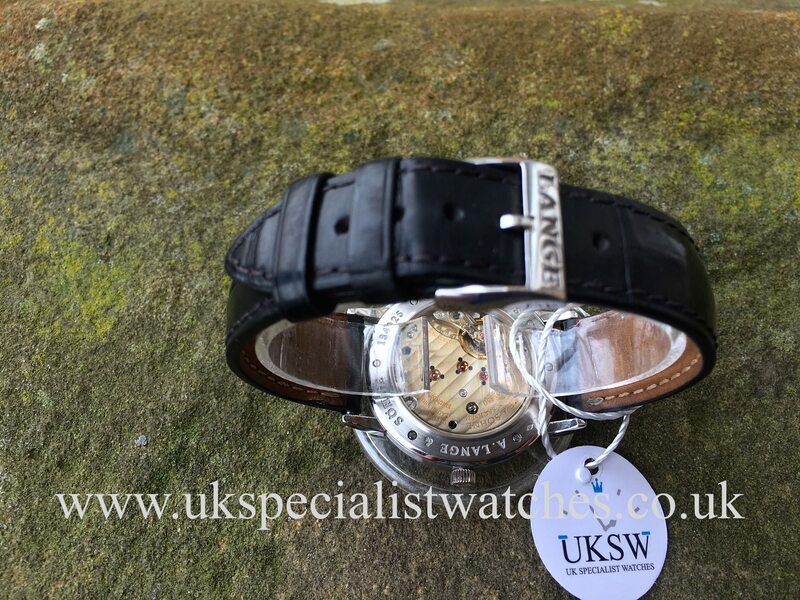 Fitted to a black croc strap with platinum Lange buckle. 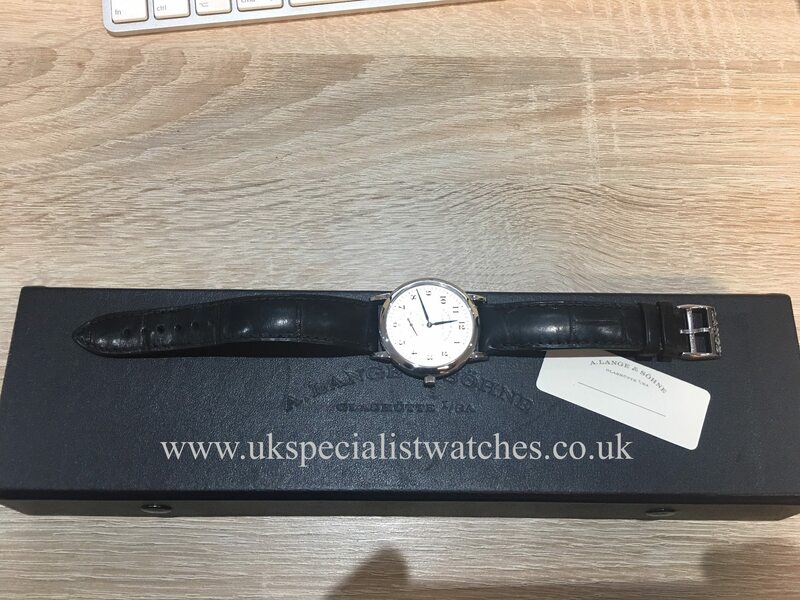 Platinum crown and water-resistant to 30 meters. 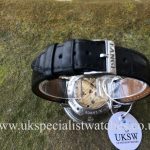 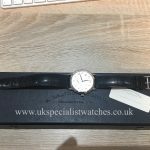 1 owner watch Supplied new in 2006. Comes with A.Lange box.